Quickly & easily test paint, ceramics, soil, dust, toys and more for harmful LEAD! 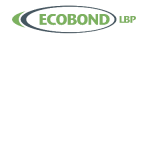 ECOBOND®, LLC is the nation’s leader in developing and distributing products that improve the protection of human health and safety from the hazards of lead in the home, workplace, and the environment. Live Lead Safe Copyright © 2019.